Our next installment of the ABCs of Walt Disney World takes a look at a bigger picture when planning your vacation, Experiences! Located around the Walt Disney World property are a lot of different types of experiences. Sure, many people think all of the experiences are within the four theme parks. Today we are going to look at some experiences outside the parks, but still on property. For the speed demon, or car enthusiast, in your group there is the Richard Petty Driving Experience located in the parking area just beyond the Magic Kingdom Auto Plaza. You can choose for two different types of experiences. You can ride or drive a NASCAR style race car. Take a look at www.http://www.drivepetty.com/race-tracks/orlando-walt-disney-world-speedway. Or, if you have always wanted to drive a fancy, and fast, sports car that you know you can never afford to buy, you can do the the Exotic Driving Experience. You can get more information on this experience at http://www.exoticdriving.com/race-track/orlando-walt-disney-world-speedway. At Downtown Disney, you can experience an exclusive presentation from Cirque Du Soleil called La Nouba. Filled with high-flying acrobats, feats of strength, and entertainment that is fit for everyone in the entire family. You can get tickets at https://shop.omniticket.com/wdw/wcq/index.cfm. There are plenty of watercraft options all around the property. There are boat rentals all around the place. Canoes, kayaks, pedal boats, and motorized boats can be found at many locations. Just check with guest services at your resort to make arrangements. Finally, I’d like to suggest an experience for couples celebrating being together. This DOES NOT have to be an anniversary or birthday. It could be a just because moment. 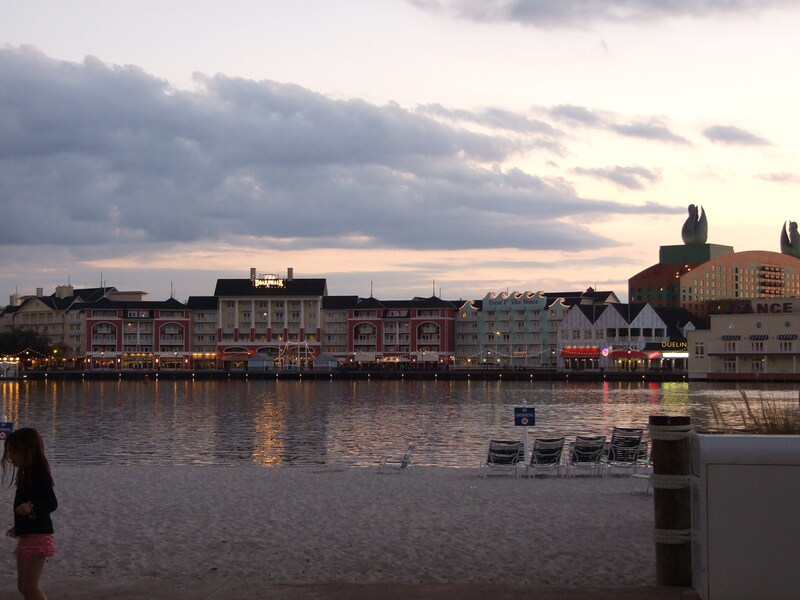 Take your sweetheart over to the Boardwalk near the Yacht and Beach Club resorts! You can walk around this beautifully themed area reminiscent of a turn-of-the-century waterfront environment with performers all around. Or, you could grab some Ice Cream at Beaches and Cream at the Beach Club. Remember, if you want to sit down at Beaches and Cream, you will need to make a reservation at 407-WDW-DINE. These are just a few ideas of how to spend time outside of the parks. There are experiences all over the place, you just have to look for them! I hope this gives you some ideas. Thanks for reading! Have a Blessed and Magical day! !